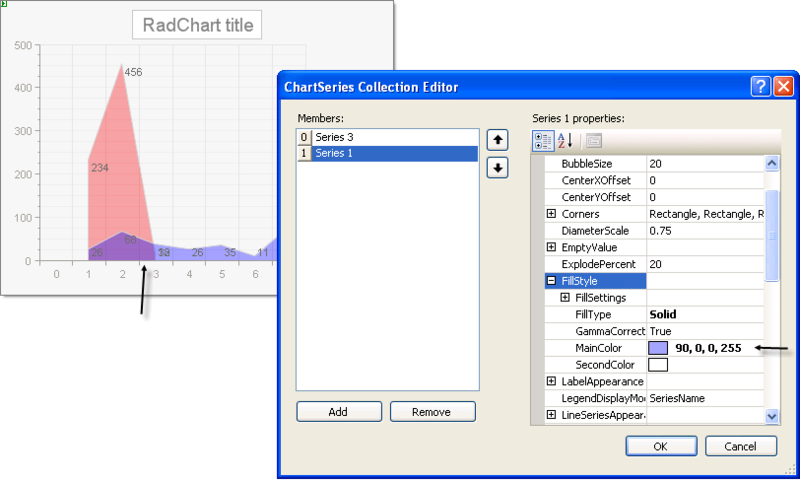 "If I have several series that overlap and I want partial transparency so I can see all series at one time (without it being a stacked chart), how do I set a color to be transparent?" 80, 255, 0, 0 = Red that is 80% transparent. In the example below both series have a main color with a transparency of 90%.